As the authors connect the dots between glyphosate and numerous types of cancers, they also demonstrate how the same disruptions can are likely contributing to a whole host of other diseases, including autism, diabetes, kidney disease, and fatty liver disease. Most of these and others are highlighted in the previous three papers in this series by Samsel and Seneff. A videotaped interview of Dr. Seneff shows the links between glyphosate a more than a dozen diseases. A second interview discussing the second paper in the series focuses on gluten sensitivity and kidney failure as outcomes of glyphosate exposure. 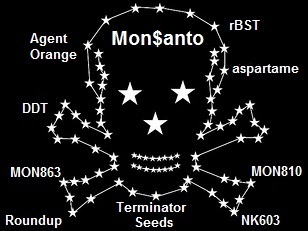 All its going to take is for the wrong kid to get sick and die from gmo, vaccines or you name it……..